More and more brands are growing their engagement and brand recognition by on Instagram. It has over 700 million active users per month and has become the greatest platform for influencers and brands to promote their content and products. A feature that has become popular on Instagram recently is Instagram Contests, and it’s used to hold photo/video contests with followers. In this article, we will show you four easy steps to make Instagram contests, which will help you to conquer users. Take advantage of the fact that Instagram doesn’t have any promotional limitations like other social platforms. So be as creative as you want with the concept of the contest. You don’t have to offer prizes related to the company, you can also take advantage of the festival days of the year or popular events in the city to make some kind of contest. Likes: this is the easiest to run, you just have to ask the users to like the photo of the contest and win the product that appears in the photo. This type is great because it’s not difficult to participate and you can grow your brand recognition. Comments: this is similar to the previous one, the users have to like the picture but also have to leave a comment in order to win. You can even ask the followers to tag their friends in the comments. This is especially useful to gain new followers. Photos: in this type of contest you need to ask your followers to post a photo in their personal profile on the products and use a specific hashtag. It’s important to remember that the followers need to have their profiles be public so you can check their photo. It may sound very nice to make contests and gifts to your followers but everything has a hidden purpose. Whether profit or not your goal is to get more followers, more interaction, attract traffic, increase sales, etc. So to start you need to write down your objectives in detail so that you can help define the online raffles of your brand. For example: increase brand followers by 15%, generate at least 300 comments in your Instagram account for 1 week. We will not assist you in the administration of your promotion and cannot advise you on whether consent is required for use of user content or on how to obtain any necessary consent. You agree that if you use our service to administer your promotion, you do so at your own risk. These are only a few points of what Instagram has to say, but you can find the complete information here. As any good marketing strategy, the main goal is not to just gain more followers but gain quality followers. The best way to find these people is by offering a prize that is relevant to them as well as to your brand. Regardless of your professional activity, you can always offer prizes with a low cost to you but ones that would be of great interest to your audience. Is important for you to create a hashtag to promote your content. It has to be attractive and easy to remember. Proper use of hashtags in content publications and Instagram comments are key! 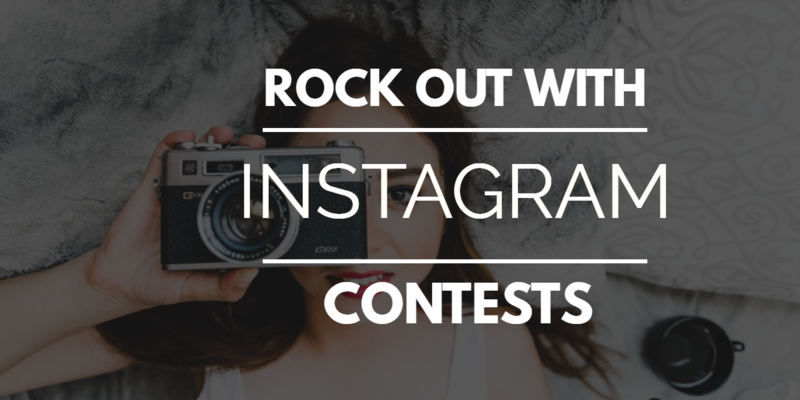 The wide options of promotion in Instagram allow having the freedom to create contests and to give prizes without many complications through the images. To be most successful, you have to be creative and original with the types of contests you make, choose the right award, and use related hashtags to attract the right audience.